WINDSOR, Calif. – Sonoma County-based Murphy-Goode Winery and St. Florian’s Brewery today unveiled a unique partnership, more than a year in the making. Inspired by the deep agricultural roots of grape growing and hop cultivation in their home region in Northern California, Winemaker David Ready Jr. and Brewmaster Aron Levin collaborated to craft a beer and wine duo reflective of local flavors and their companion beverages. The results are a revolutionary dry-hopped Sauvignon Blanc and barrel-aged lager, both of which are sure to appeal to wine and beer drinkers alike. Seated at the bar in St. Florian’s Tap Station in Windsor, Ready and Levin discussed their plans for a wine and beer duo, each influenced by the other’s expertise. The Dry-Hopped Sauvignon Blanc, a light, crisp wine with tropical fruit notes, features added Citra hops that provide a unique dimension and additional nuances of citrus aromas and fruit flavors. Akin to the collaboration, St. Florian’s brewed a light, crisp Citra-hopped lager. The lager was aged just long enough in Murphy-Goode Sauvignon Blanc barrels to meld the barrel’s oak and the lingering, fresh, juicy fruit flavors with the balanced bite of citrus and tropical fruit of the Citra lager. The Murphy-Goode Dry-Hopped Sauvignon Blanc and St. Florian’s Brewery Barrel-Aged Lager will be available for purchase at select Bay Area retailers. Located in the beautiful and acclaimed Alexander Valley region of Sonoma County, Murphy-Goode is a family-owned winery known for award-winning California wines from Sauvignon Blanc and Chardonnay to Pinot Noir, Zinfandel and Cabernet Sauvignon. 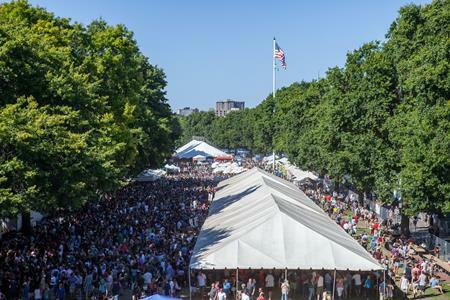 Founded by Tim Murphy, Dale Goode and David Ready, Sr. in 1985 and now part of Jackson Family Wines, Murphy-Goode believes in great wines and good times with family and friends. 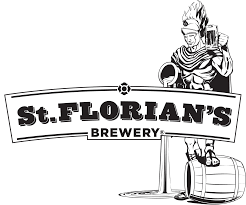 Named in honor of the Patron Saint of Firefighters, St. Florian’s Brewery proudly locates in Windsor, Sonoma County. Since its founding in 2012, the award-winning brewery has been independently family-owned/operated by husband-wife team, Aron & Amy Levin. Aron Levin is a full-time Fire Captain in Sonoma County. When Aron is off-duty from the fire department, he channels the adrenaline of his shifts into St. Florian’s Brewery; he skillfully brews a diverse line-up which exemplifies balance and relaxation. Let’s drink to the hero in all of us!